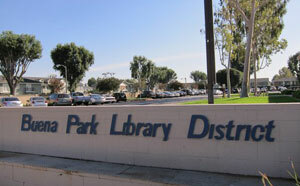 The Buena Park Library District is committed to meeting the information needs of its culturally diverse community. * We provide a vast array of resources in a variety of formats representing diverse points of view. * We employ a dedicated, responsive staff that takes pride in providing expert service. * We provide programs and services that are based on community needs.